Stock Clearance! One Time Offer! This item is a direct replacement for the highly restrictive factory catalytic converter. Superior materials and design with honeycomb structure metal catalyzer allows for high flow of exhaust while keeping exhaust gases clean. 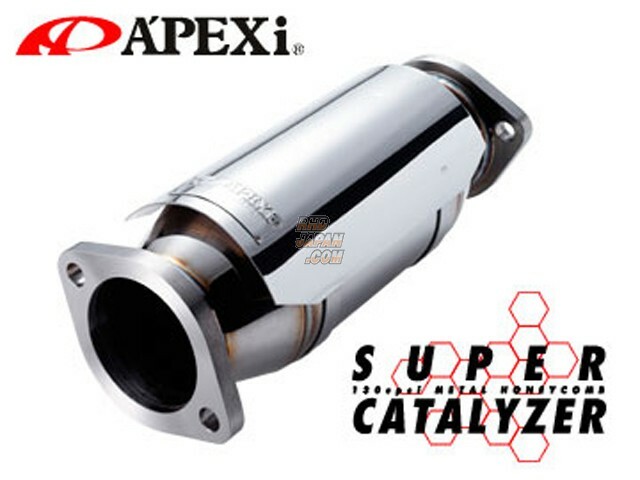 Smooth flowing mainpipe with enhanced diameter allowing engine to exhale the hot exhaust gases more efficiently improving engine response and increasing power and torque throughout the whole power band. In addition to cleaner emissions and overall increased performance output this item also adds to a more solid quality exhaust note. Get this and all your JDM at RHDJapan! !